The overall objective of the Action is to upgrade the existing maritime link between two Core ports (Turku and Stockholm) and one comprehensive port (Mariehamn) used when crossing the northern Baltic Sea from Finland to Sweden along the Scandinavian-Mediterranean Corridor. The Action aims to develop sustainable maritime transport route, promote green shipping and the use of alternative fuels, as well as improving port connectivity. The Scandinavian-Mediterranean Corridor is a crucial north-south axis for the European economy. 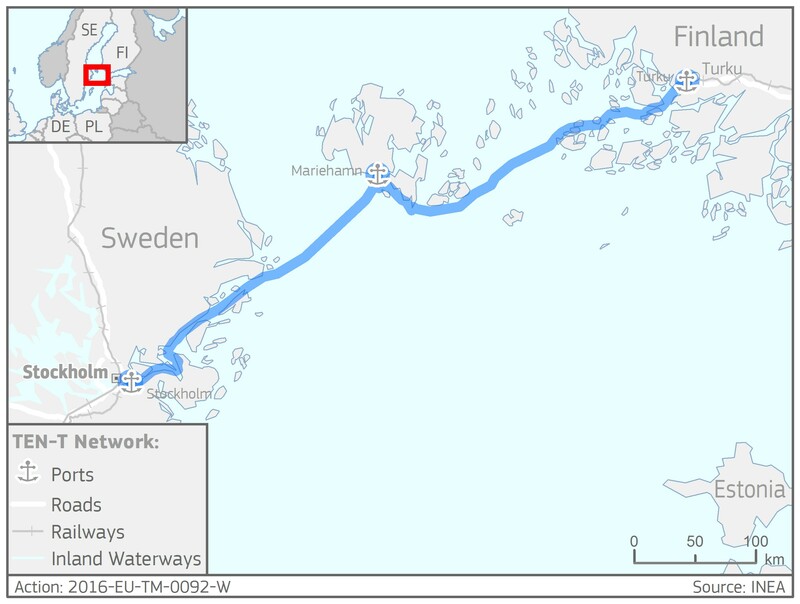 The Action will also connect the peripheral region of the Åland Islands to the main maritime transport route. The Action is a part of the Global Project which introduces Liquefied Natural Gas (LNG)-powered ro-pax vessels to the maritime link between Turku and Stockholm. It supports the EU's clean fuel strategy and the deployment of Directive 2014/94/EU.